Who loves their daily cup of coffee? I know that I do! But instead of brewing it up in you K-cup machine, or grabbing that takeaway in a styrofoam cup, think again. There are better and less harmful ways of having your morning cup of coffee. 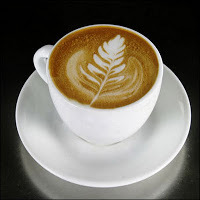 I’m taking about brewing, coffee cups, coffee grounds, and alternatives to coffee. Join me for an interesting show just about the environmental impact of your coffee, or tea for that matter. Yes dear reader, my feathered girls are indeed awesome. Just look at the my egg haul today for an example. Notice something different about one of them? Yes, you picked it, the one at the back right. It’s massive. I couldn’t even close the egg carton. This egg, which I think was laid by Edwina II, weighs in at 110gm (3.8 oz). 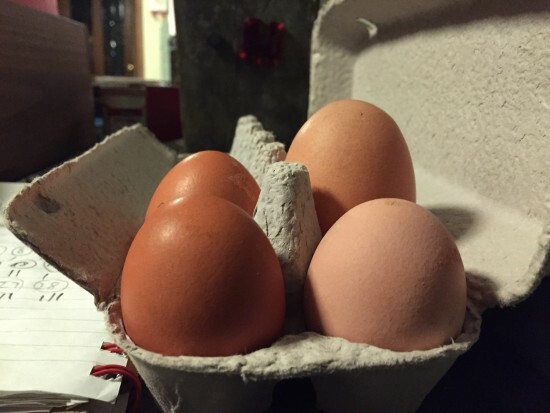 That is one of the largest eggs I have seen from one of my ISA Brown hens. Try getting eggs that large at the supermarket. Not a chance, as they are all graded and exactly the same. That is just one part of the awesomeness of backyard chooks. 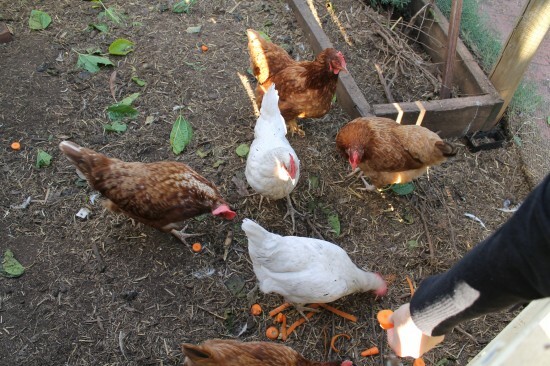 Other cool things is that they provide you with abundant manure for your veggie patch, and they demolish any kitchen scraps and turn them into eggs (just like the ones above). Additionally, they are great at weeding and bug control as well as turning over garden beds before planting. And besides that, you know what they are fed, how they are treated, and you are the one responsible for their welfare. Certainly big responsibilities, but well worth the effort just to watch their crazy antics. They never cease to make me laugh when I feed them in the morning, and tuck them in at dusk. Backyard Chooks are simply awesome! What say you? For those of you who have backyard chooks, do you love them like pets or just make sure they are well cared for and give you eggs and meat? With my dinner tonight (homemade Minestrone Soup), I had a couple of slices of bread. 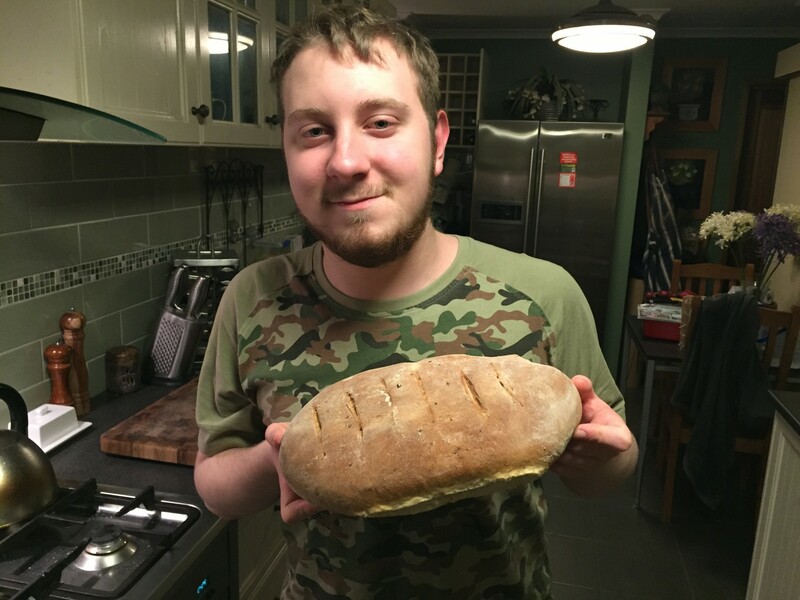 Bread made by my son Ben. It was absolutely delicious. There is nothing quite as nice as a fresh loaf spread with real butter. You can see that the lad is very pleased with himself. His old Dad is also as proud as punch as is Mum. Kim taught him how to make the dough using the bread maker, which I don’t think is cheating at all, especially if it is powered by electricity that we have generated with our very own solar PV system! He said the making bread was easy once he knew how, and loved the taste of the herbs. So for those who are after the recipe, here it is. Add into bread maker in order of listing and set on the Dough setting. Once kneaded in the machine, shape dough into a loaf shape and make about 6 diagonal shallow cuts in the dough. Place on well-greased baking tray and bake at 180°C for 20 to 25 minutes. You will know it’s cooked when it sounds hollow when you knock on the bottom of the loaf, and it is brown on top. Cool on a baking rack, serve sliced with butter! Kim and I are so proud! His first loaf of yummy bread and we know exactly what is in it. We won’t be able to keep him out of the kitchen now.